The Ozone Ignition V2 Kitesurfing Trainer Kite is now in it's 2nd version and 7th year of design refinement. 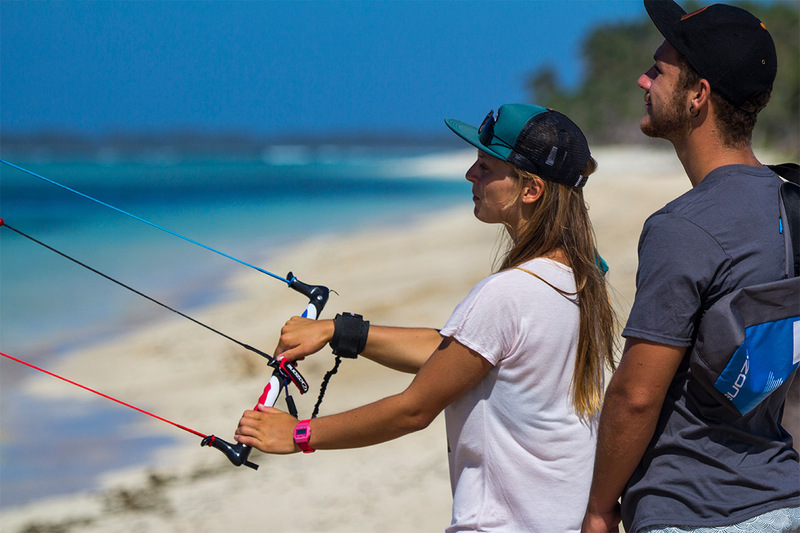 With 1000's of kites sold it has proven to be the ultimate kite to enter the sport of kiting especially if you are wanting to learn to kitesurf. 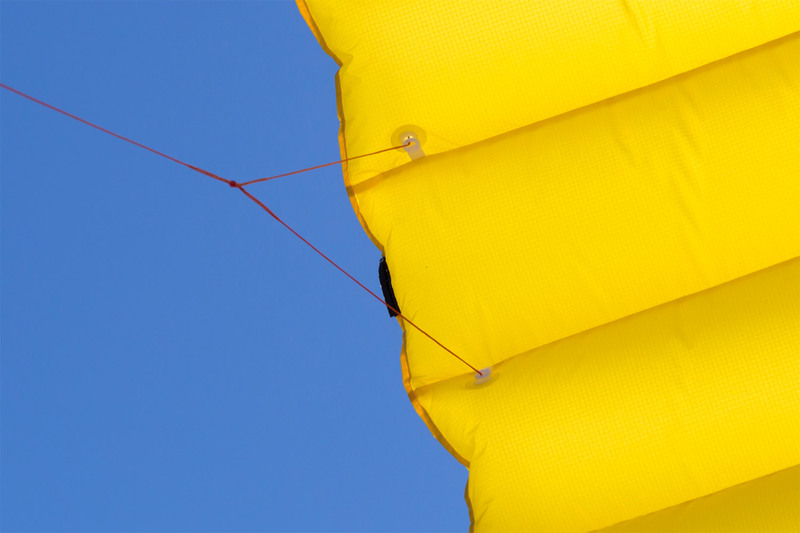 The Ignition is the most popular kite in Ozone's range and it's for many good reasons. It is available in 1.5m, 2m, 2.5m and 3m sizes. The first thing you do on kitesurfing lessons is learn to fly a basic trainer kite like this. Power Kiting is all about practice and time under a kite to progress so the more time you can spend flying the better. Rather than pay for more lessons get a trainer kite like the Ozone Ignition and practice on your own time as it's great fun! So what's new in the V2? The Ignition V2 has seen some improvements with a new internal safety system from the snowkite range and some design tweaks across the sizes to give smoother flight. But how can you really improve an already awesome kite! The Ignition V2 Kitesurf Trainer is a great fun for all the family but is perfectly suited with it's smooth and stable flying style to get you ready to progress bigger kites and and even Kitesurfing. All sizes produce good power and it's often a choice of which size is best suited to each rider. The 1.5m is perfect for juniors and higher wind fun but the 2m and 2.5m versions are the most popular and our favourite kites from the range. They offer the best balance of power and responsiveness so give the best training and fun. 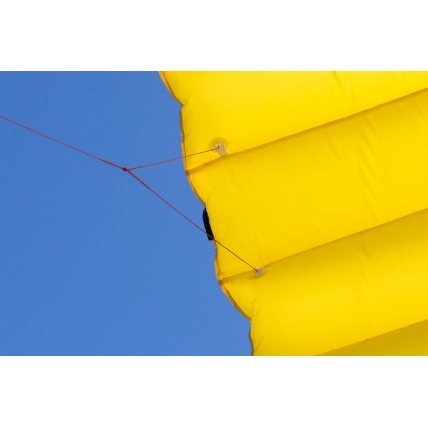 The bigger 3m is great for getting more power in lighter winds and for heavier flyers wanting more power. The Ozone Ignition has a great 3-line safety system that makes safe, easy re-launch and landing making it simple to fly on your own without extra assistance. The wrist strap leash also brings the kite out of the sky easily and automatically in an emergency ready to relaunch again. 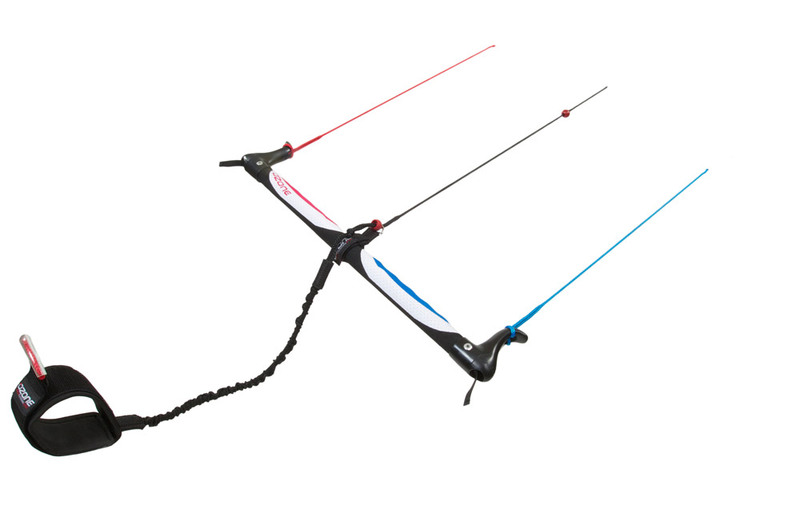 Whatever your age or ambitions, Ozone’s Ignition Trainer is the perfect power kite to get you started. Children should use the 1.6m size and in winds less than 10mph and always be under careful adult supervision. Please note in the video below the kite is shown used on the water, it will not relaunch without assistance from water and should only be used in safe area of calm water under supervision. 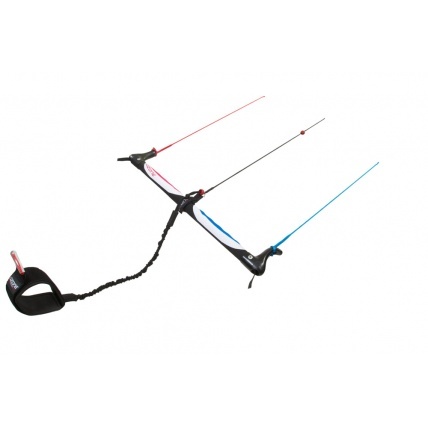 Ozone Ignition V2 1.5m - £149.00 - Approx 1.0m sq. Ozone Ignition V2 2.0m - £174.00 - Approx 1.5m sq. Ozone Ignition V2 2.5m - £199.00 - Approx 2.5m sq. Ozone Ignition V2 3.0m - £229.00 - Approx 2.9m sq. 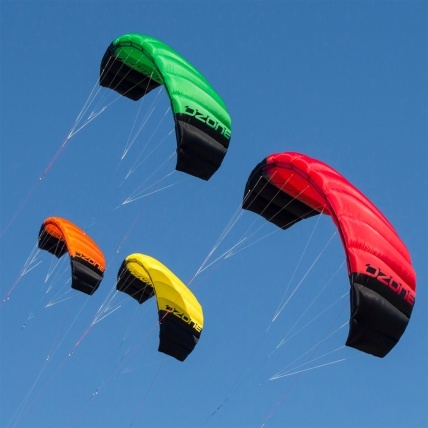 * Please note the kite colours do vary from the factory depending on material availability. If you want to check the current colours available please give us a call or note on the order comments. Complete with 3 Line Bar and Lines plus Kite bag.